Tigerare having a huge domestic sale. Short Haul $30, Medium Haul $60, Long Haul $90. Prices listed are one-way and for payment using Mastercard Debit Card (make sure to tick Mastercard Debit Card as a payment option). to Sydney Flights for $30 using Mastercard Debit Card. $38 using CC. to Melbourne Flights for $60 using Mastercard Debit Card. $68 using CC. to Adelaide Flights for $60 using Mastercard Debit Card. $68 using CC. to Cairns Flights for $60 using Mastercard Debit Card. $68 using CC. to Darwin Flights for $90 using Mastercard Debit Card. $98 using CC. to Adelaide Flights for $30 using Mastercard Debit Card. $38 using CC. 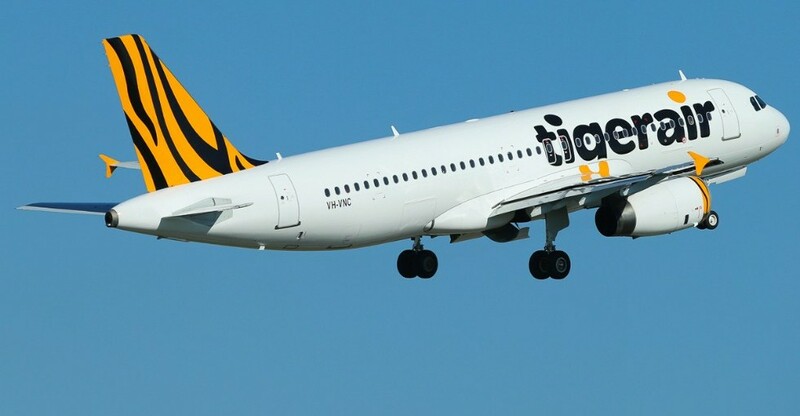 to Coffs Harbour Flights for $30 using Mastercard Debit Card. $38 using CC. to Brisbane Flights for $30 using Mastercard Debit Card. $38 using CC. to Melbourne Flights for $30 using Mastercard Debit Card. $38 using CC. to Gold Coast Flights for $30 using Mastercard Debit Card. $38 using CC. to Whitsunday Coast Flights for $60 using Mastercard Debit Card. $68 using CC. to Cairns Flights for $90 using Mastercard Debit Card. $98 using CC. to Perth Flights for $90 using Mastercard Debit Card. $98 using CC. to Hobart Flights for $30 using Mastercard Debit Card. $38 using CC. to Brisbane Flights for $60 using Mastercard Debit Card. $68 using CC. to Gold Coast Flights for $60 using Mastercard Debit Card. $68 using CC. to Sydney Flights for $60 using Mastercard Debit Card. $68 using CC. to Sydney Flights for $90 using Mastercard Debit Card. $98 using CC. to Melbourne Flights for $90 using Mastercard Debit Card. $98 using CC. to Brisbane Flights for $90 using Mastercard Debit Card. $98 using CC.